Teachers and members of curriculum groups can easily create a preview of attachments (.docx, .pdf, pptx, .xls) inside the Loop! Remove the nuisance of students clicking onto other sites and instead, have students quickly view documents in one place. 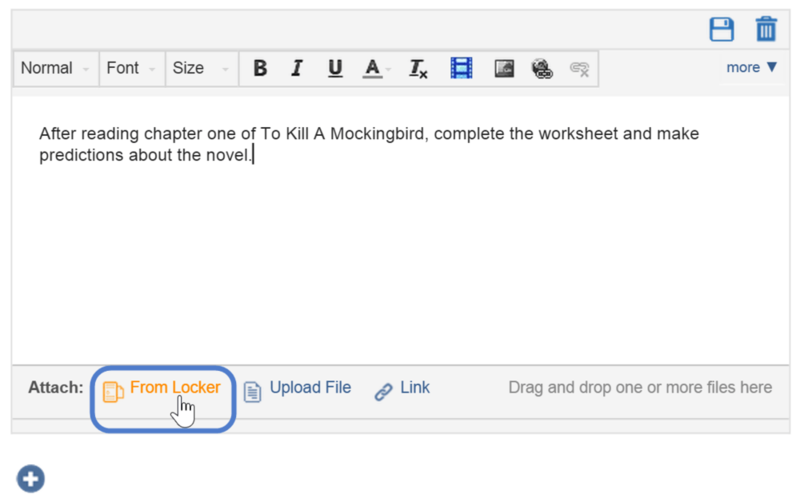 In the Attach section of the Loop interface, click on the From Locker link. Click on the File Name that you want to add from a locker or folder. Click the Create Preview Below button and a preview of the document will be added in a separate module below. The attachment file is visible in the preview section.